In the ongoing debate about how well you care for the environment, check out this week’s Trending Headlines to read a great first-hand account about the many ways ranchers and farmers are true environmentalists. Body condition scoring is a practical tool and an important practice that allows producers to quickly estimate the energy status of cows at that point in time. With this information, decisions can be made to manage an individual or a group of cows separately without having to supplement the whole herd, and ultimately you'll save on feed cost, according to the Noble Research Institute. It is critical that scoring is done consistently by the same person over time in order to effectively manage your cow herd and feed resources. A change in 1 BCS is equivalent to 90 pounds of body weight. It is not recommended to compare BCS across herds that were scored by different people because not every person evaluates an animal the same or gives the same score. 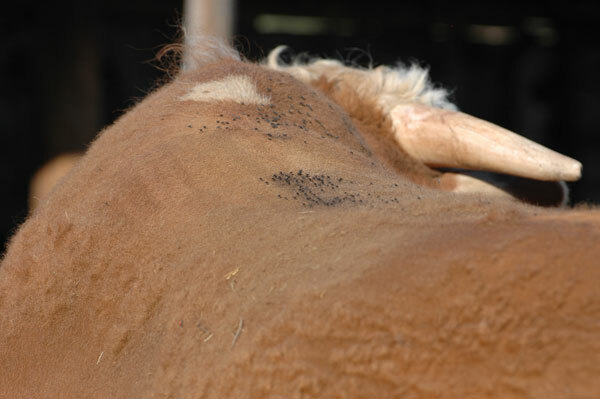 Horn flies are blood feeding flies that impact production on cattle operations. Populations of these flies tend to peak in June. The hot dry days of summer tend to decrease the overall population. However, in late August to September as the temperatures begins to decrease and humidity increases, the horn fly population tends to peak again, says A.J. Tarpoff, Extension veterinarian at Kansas State University. Several generations of flies occur during the grazing season. During the multiple generation turnover, flies do develop some level of resistance in continued presence of a parasiticide. It is important to remove spent fly tags once they have lost their efficacy. The sub-therapeutic levels of product left in the tags hasten development of resistance. It is also recommended to switch class of fly tag (not just brand) on a yearly basis. At one of my first fires in Eastern Oregon working as a rangeland firefighter, I looked over my shoulder and saw a group of ranchers, recognizable by their hats and boots, hiking quickly up the mountain. As the flames raced through the sagebrush, the ranchers’ passion was obvious. Their drive reflected not only their desire to protect their livelihood and cattle, but also the innate care they feel for the land they graze and farm, writes Madi Clark for the Spokane Spokesman-Review. Yet ranchers and farmers who care for the land so passionately are often regarded by urban foodies and greenie activists as the foe of the earth. That common misconception is the result of the inflammatory propaganda attacking farmers that has taken hold in mainstream media and on college campuses. Click here to read more as she defends ranchers and farmers. “The cows are funny,” Darrell says. “They like to eat the nice, tender grass and leave old stuff. This way they eat the old stuff and turn it into tender stuff, so it turns out well for them in the end.” Cattle are now grazing everything in their pastures, including the Garrison creeping foxtail. He’s also learned that pounding the ground rod for the electric fence into a wet spot improves the fence charge, reports Onpasture.com. 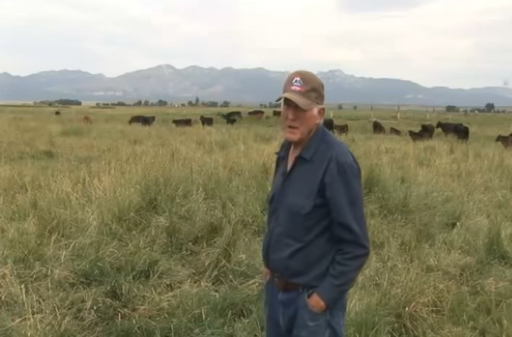 Click here to watch a video where Yardley describes his grazing system. To brand or not to brand? In some Midwestern states, that question has largely been answered in the negative. 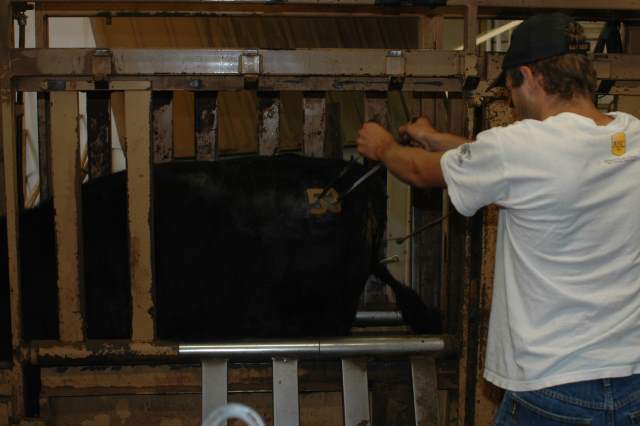 While cattle branding still takes place in Illinois, many producers have eschewed the practice and rely primarily on ear tags and tattooing. Even fewer utilize the relatively new practice of freeze branding, reports Iowa Farmer Today. University of Illinois livestock educator Teresa Steckler doesn’t see much conventional hot-iron branding, let alone freeze branding. That’s largely because the beef cattle industry is much different in Illinois than in large cattle-producing states such as Texas and Kansas. Proving ownership is one reason livestock producers brand their cattle. But rustling simply isn’t an issue in many parts of the Midwest as it is in other regions of the country.